This diamond is truly a magnificent piece of art, and is one of a kind. 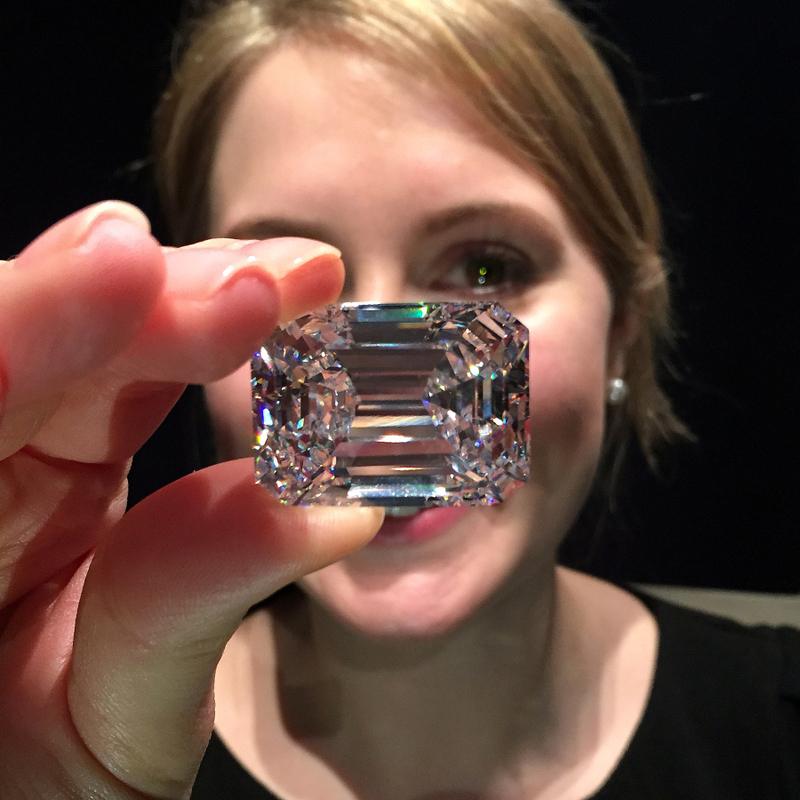 Today, Sotheby’s announced that a rare Emerald-cut 100.2-carat perfect diamond will lead its April 21 Magnificent Jewels sale. The stone is just one of six diamonds over 100 carats and comparable-quality ever to be sold at auction, and is estimated between $19 and $25 million. Wearing the diamond as jewelry won’t increase or decrease its value, assured Mr. Everett. The stone came to Sotheby’s from an anonymous owner who spent over a year studying and cutting it before bringing it to the house. Mr. Everett explained that it was recently mined sometime during the last decade by De Beers—which enforces strict ethics policies in order to guarantee only conflict-free stones—and originated in Southern Africa. The original un-cut, rough stone clocked in at over 200 carats. “This 100.20 carat diamond is the definition of perfection. The color is whiter than white, it is free of any internal imperfections, and so transparent that I can only compare it to a pool of icy water,” said Gary Schuler, head of Sotheby’s Jewelry department in New York in a press release. 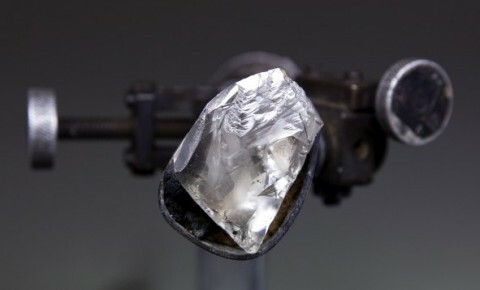 The stone is a truly unique one—diamonds like this aren’t pulled from the Earth very often. While its size impresses, two other characteristics set it apart: its classic, modern emerald cut (arguably the most desirable cut there is) and its “perfect” quality. Breaking down the industry jargon, it is a Type IIa stone (free of any imperfections), D color (the whitest, clearest there is), and internally flawless (no blemishes visible under high magnification). A rare find, indeed. Compared to the five other 100-carat diamonds to be sold at auction, it is the only one of Emerald-cut, making it all the more desirable. In 1990, Sotheby’s Geneva sold the first 100-carat perfect diamond, a 101.84-carat modified Pear-shape stone that sold for $12.7 million. The other stones include: a rectangular modified brilliant-cut 100.36-carat diamond sold at Sotheby’s Geneva in 1993 for $11.9 million, a 100.10-carat Pear-shape diamond sold for $16.5 million at Sotheby’s Geneva in 1995, a 101.73-carat Pear-shape diamond sold at Christie’s Geneva in 2013 for $26.7 million, and a 118.28-carat Oval Brilliant-cut diamond that sold for $30.6 million at Sotheby’s Hong Kong in 2013 and holds the world auction record for a white diamond. 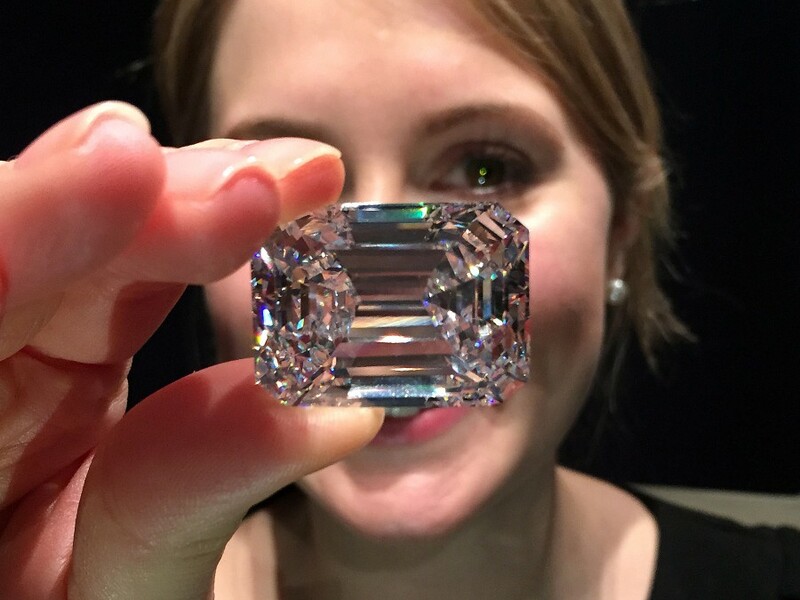 Article Courtesy of The Observer, “http://observer.com/2015/02/sothebys-perfect-100-carat-emerald-cut-diamond-could-fetch-25-million/” 2015. Make sure to check our blog regularly and get of the latest updates, offers, and useful information from Nanda Jewellers. We offer fully certified diamonds, at highly competitive prices. Nanda Jewellers offers a wide selection of diamond jewellery including necklace sets, earrings, tennis bracelets, bangles and custom engagement rings and bands. 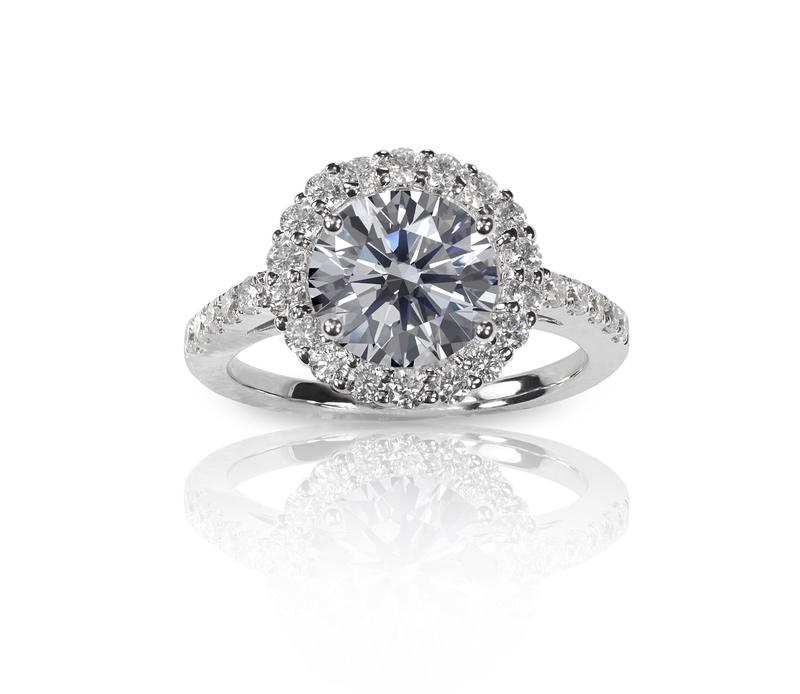 Nanda Jewellers Specializes in loose diamonds, and Custom engagement rings designs using the latest in 3d cad technology. Each custom designed piece is handcrafted, and personalized to perfection. GIA (Gemological Institute of America) Certified diamond grader, Anil Nanda offers, the expertise, knowledge, and insight required when searching for the most fitting diamonds for his clients. With a large network in the United States and around the globe, Diamond Creations by Nanda jewelers provides its customers with a large selection of loose diamond’s which are fully certified and conflict-free at competitive prices. Book your consultation now, and allow for Diamond Creations by Nanda Jewellers to create a personalized design exclusively for you and your loved ones. 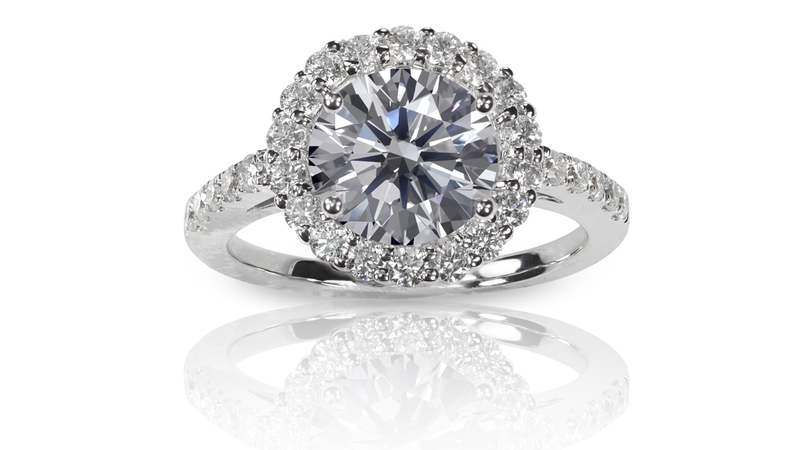 Watch and gain a better understanding of the 4 C’s of Diamond Quality. The diamond colour evaluation of most gem-quality diamonds is based on the absence of colour. A chemically pure and structurally perfect diamond has no hue, like a drop of pure water, and consequently, a higher value. GIA’s D-to-Z diamond colour-grading system measures the degree of colourlessness by comparing a stone under controlled lighting and precise viewing conditions to masterstones stones of established colour value. 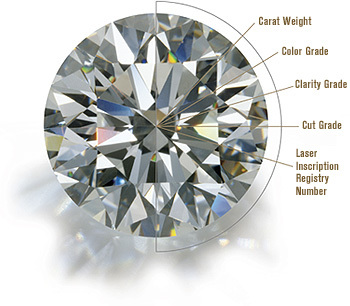 GIA’s diamond D-to-Z colour-grading scale is the industry’s most widely accepted grading system. The scale begins with the letter D, representing colourless, and continues, with increasing presence of colour, to the letter Z. Many of these colour distinctions are so subtle that they are invisible to the untrained eye; however, these distinctions make a very big difference in diamond quality and price. Consists Scale has 6 categories, some of which are divided, for a total of 11 specific grades.